There is not much else really to say about this movie that hasn’t already been said. A group of actors who are playing themselves in the movie all go to a party at James Franco’s house (you have to wonder if there is any Pineapple Express laying around there…) and during the party, all hell breaks loose. Literally. Hilarity ensues as they try and survive the apocalypse. After seeing so many of these guys team together in their movies and seeing their distinct personalities on screen, you have to imagine that they are playing themselves pretty close to how they actually are in real life. I have to believe that a party at James Franco’s house with Seth Rogen, Jay Baruchel, James Franco, Craig Robinson, Danny McBride and Jonah Hill would be an absolute blast and seeing the likes of Michael Cera, Aziz Ansari, Emma Watson, Mindy Kaling, David Krumholtz, Rihanna, Paul Rudd and even Channing Tatum there would blow this one completely off the map. THIS IS THE END is directed by Evan Goldberg and Seth Rogen and stars Seth Rogen, Jay Baruchel, James Franco, Craig Robinson, Danny McBride and Jonah Hill. SYNOPSIS: The comedy “This is the End” follows six friends trapped in a house after a series of strange and catastrophic events devastate Los Angeles. As the world unravels outside, dwindling supplies and cabin fever threaten to tear apart the friendships inside. Once they discover that they are experiencing the Apocalypse, they must come to terms with why they were left behind. Eventually they are forced to leave the house, facing their fate and the true meaning of friendship and redemption. 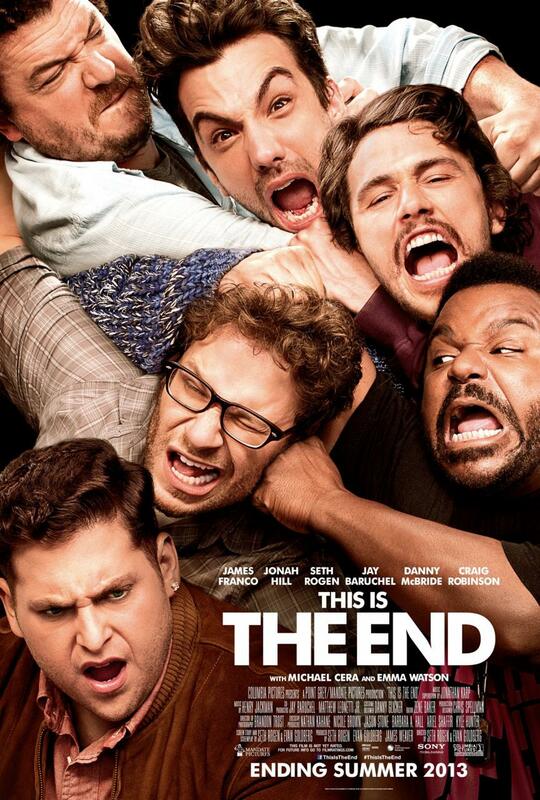 THIS IS THE END is set to hit theaters on June 12, 2013.